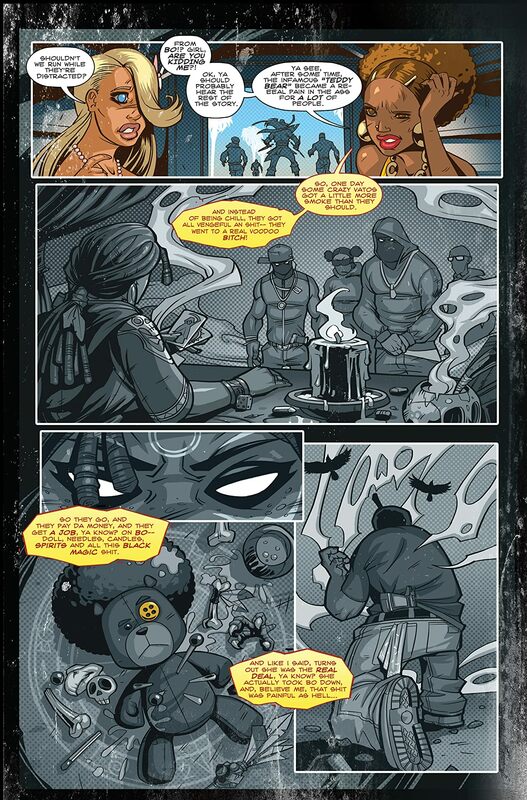 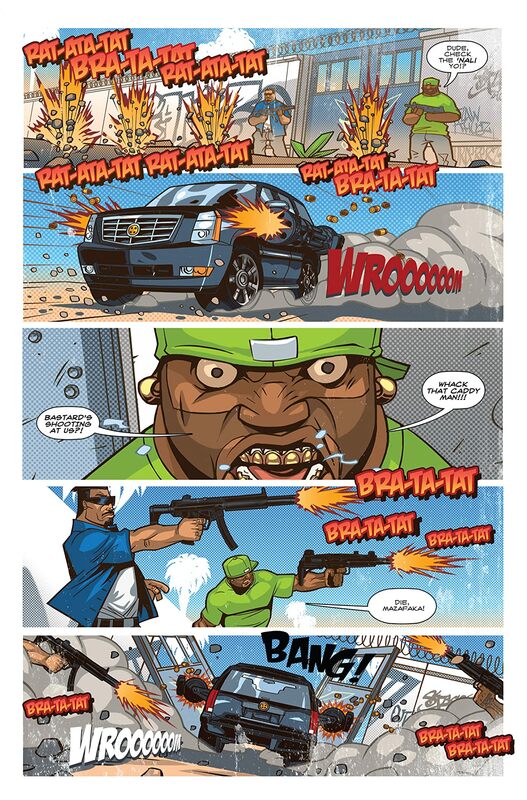 Are the legends of Bo, the "teddy bear" gangsta, true? And, did we just say teddy bear gangsta?!? You're about to find out-- when Bo's girls get nabbed by a rival gang boss, the fearsome plushy gangsta is forced into action! 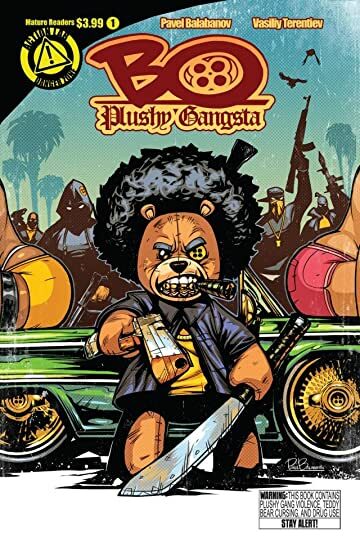 Bo Plushy is Scarface meets Ted, with over-the-top video game style gang boss battles. 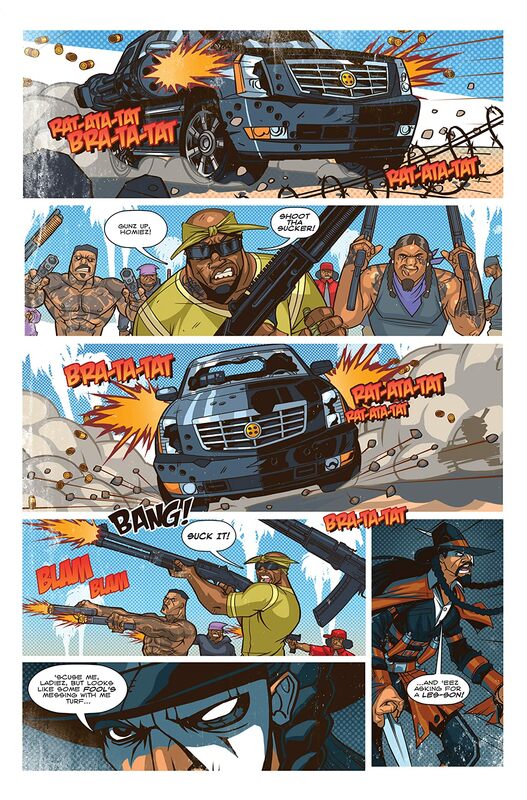 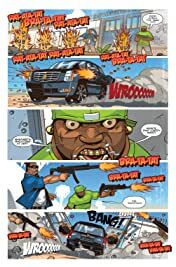 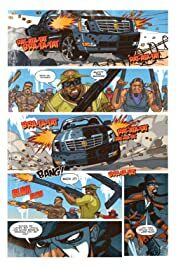 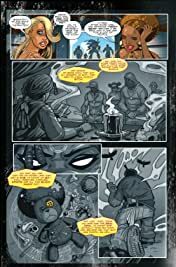 Previously released digitally as Bo Plushy Gangsta #1-3.